Canadians for the first time get a look inside their hospitals with an online poll by the CBC's flagship investigative show, the fifth estate, distributed to registered nurses across the country as part of Rate My Hospital, a sweeping series about health care. Nearly a quarter of nurses wouldn't recommend the hospital where they work to their family or friends, a survey by CBC News has found. The startling figure comes from an online survey that CBC's flagship investigative show, the fifth estate, distributed to registered nurses across the country as part of Rate My Hospital, a sweeping series about health care that continues all week. 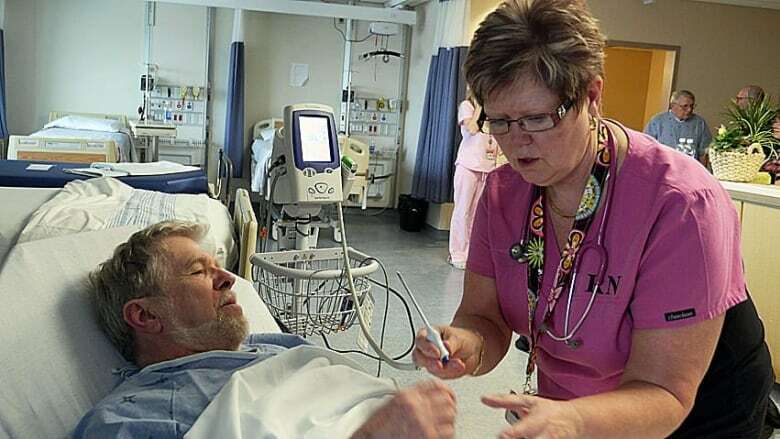 "I'm very disappointed that nurses can’t recommend their facilities, the places where they work, to their loved ones," said Ontario Nurses' Association vice-president Andy Summers. "When they look around them and they realize that they couldn’t recommend that facility, it tells me that they're recognizing how dire their practice is." "There is clear, clear evidence that short staffing has negative impact on patient outcomes, as well as nurses' health," warned Ritchie, whom CBC consulted with to develop the survey questions. "Just recently I met a new graduating class of nurses — 125 of them — and none of them had jobs," said Silas. "I just had to shake my head because we know the system is short. We're working on overtime. That's what’s keeping our system alive." "I work in cardiac surgery, and they tried to save budget so they're not replacing for sick call," said one Toronto-area nurse who asked that her identity be protected for fear of reprisal. "So, it just puts the patients at risk. The hospital, they're in denial." "It's just hard to be passionate: how do you keep the passion when you feel like you're fighting upstream?" said the nurse, who also asked not to be identified. "Everybody's burned out all day. And you just pray that you can get through the day, every day and everyone will get through the day safely with you," said the nurse, who also asked that her identity be protected. "There's times I would just say, ‘It's only by the luck of God we got through this day and nothing happened.'" "If you're not really looking at the patient, and you're not really listening because you just can't or you will lose it, then you're going to miss important cues, and nurses are the patients' safety nets," said Ritchie. "They're their first line of defence." Despite that, nearly 40 per cent said they didn't feel as if they could do their job to a quality standard that they were pleased with. 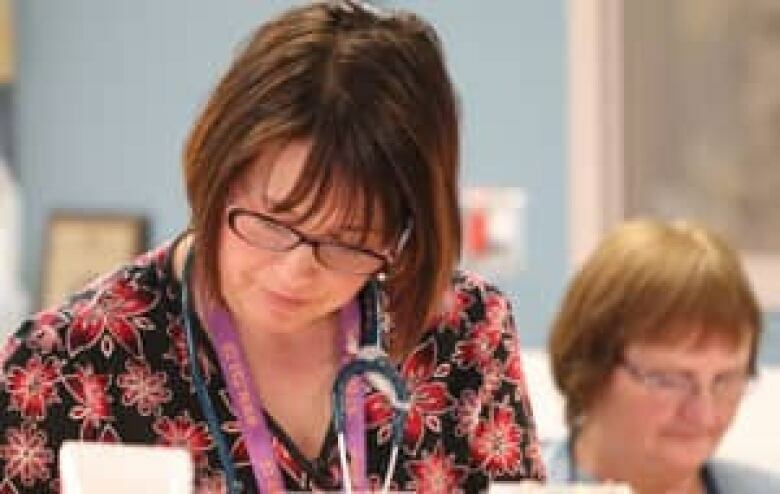 Those findings echo a frustration that the rural Newfoundland and Labrador nurse says she's often felt in recent years. "I can't do, truly do, for my patients what I want to do and they need," said the nurse, who asked not to be identified. For Kamloops, B.C., nurse Aki Minato, delivering quality care is a key reason she chose the job. She's among the 46 per cent who feel satisfied with the quality they deliver. "I'm just grateful that I have this job, that I do what I believe is valuable work, and the patients are so grateful, and I feel that every day I work," says Minato, who works in a dialysis unit. Among the other issues nurses expressed in the survey were the lack of necessary equipment to do the job and frustration that medical errors weren't always addressed. "I think that lots of time, [the errors] might be ignored or [the hospital] waits for something big to happen [before taking action]," said one Toronto-area nurse who asked not to be identified. Ritchie says that's a common complaint, in part caused by a hospital funding structure dependent on donations. "Often, the equipment is purchased based on donations, like a big MRI machine or something fancy. But it's not very prestigious to say I donated 150 special pumps for intravenous or feedings," said Ritchie. 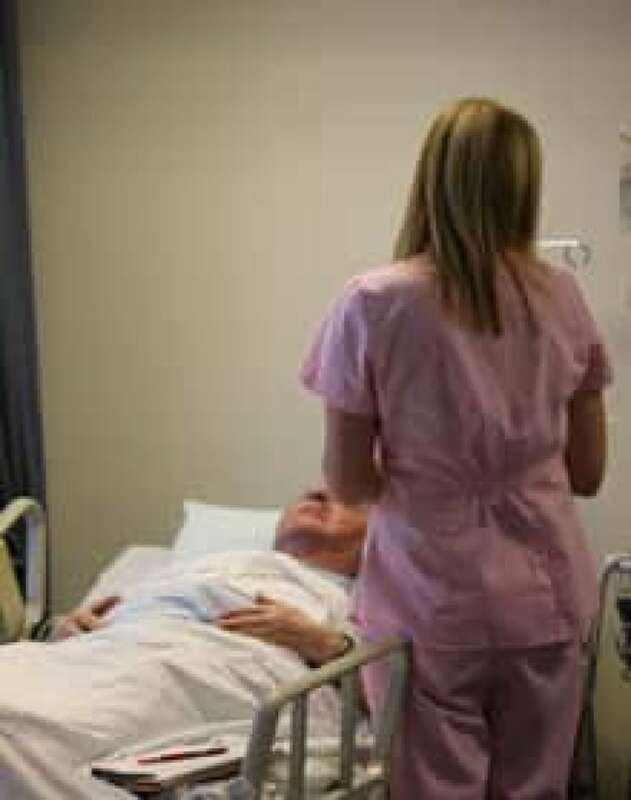 Nearly six per cent of nurses who answered the survey reported that they sometimes don't even have the basic hygiene necessities of hot water, soap, paper towels or alcohol rubs available when needed. The Canadian Federation of Nurses Unions president says it's time to address the problems facing nurses across the country. "Nursing is the No. 1 area to address," said Silas. "After you fix nursing, you'll fix the rest."